Producer, ABC Local Radio, Brisbane. 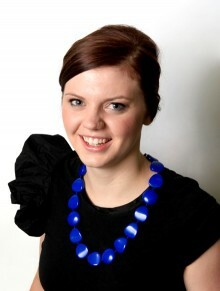 Elly learnt the ropes interning at ABC Southern Queensland, while studying at the Queensland University of Technology. The ABC couldn’t get rid of her and she started as a casual producer and then went on to produce the State-wide drive program. Her love of steak then took her to the beef capital, where she produced mornings at ABC Capricornia and the State-wide afternoon program. Elly never stops talking so she left for a stint in Mount Isa to get behind a microphone. She now creates radio packages, online content, interviews, live crosses and reads headlines on ABC local radio.